NAMIRG is funded under the European Commission Directorate-General for European Civil Protection and Humanitarian Aid Operations – DG ECHO. It aims at fighting incidents on ships at sea and at limiting their devastating effects on the lives of crew, passengers and the environment. Against this background, Maritime Incident Response Groups (MIRGs) represent an important solution for the Adriatic Sea. This model envisages the intervention of a trained and specially-equipped squad of firefighters, who can be transported on board of a helicopter to ships on fire at sea. 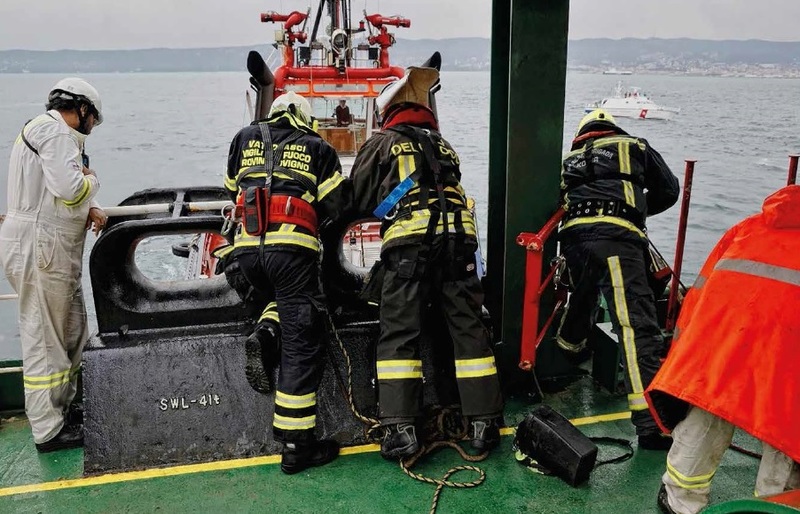 A support vessel with firefighter squads and further equipment is foreseen to ensure towing of the ship and serve as an escape route for intervention squads. The Central European Initiative - Executive Secretariat, together with the three beneficiaries, will analyse the state-of-the-art by studying the existing protocols, materials, equipment and contracts and create NAMIRG – North Adriatic Maritime Incident Response Group by involving 9 staff members per beneficiary. They will receive expert training focused on MIRG theory and practice in order to be ready for any emergency intervention.